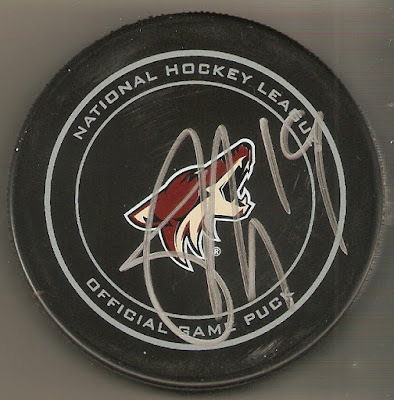 I'm a Pittsburgh Penguins fan first and foremost, but in traveling to Arizona the last few years, I have also become a fan of the Coyotes. I was very surprised to hear that the team decided they would be moving on from their long-time captain, Shane Doan, and did not offer him a contract for next season. 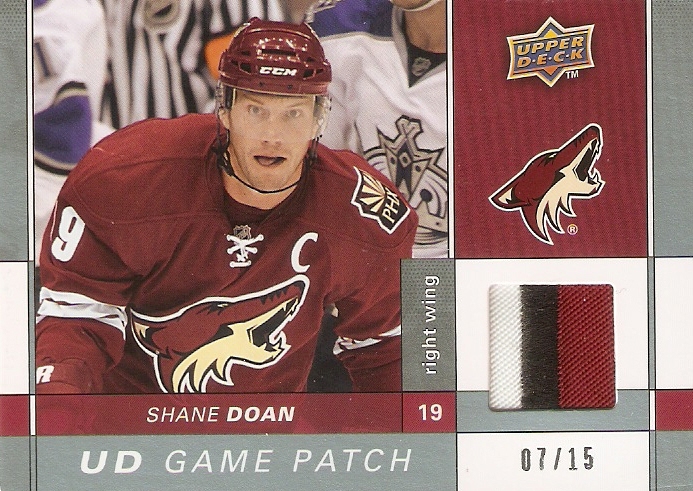 He has always been loyal to the franchise, and decided to stick with the struggling team, despite many times when he could have (and probably should have) left to play for a Stanley Cup contender. 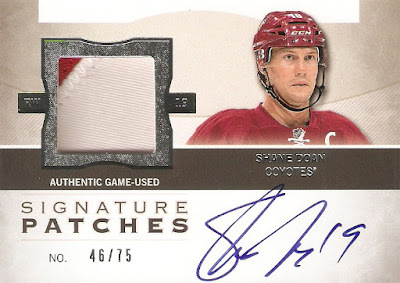 He was also one of the greatest ambassadors that the game has seen, especially in the state of Arizona, as he was always making appearances for the team and promoting the game in the area. 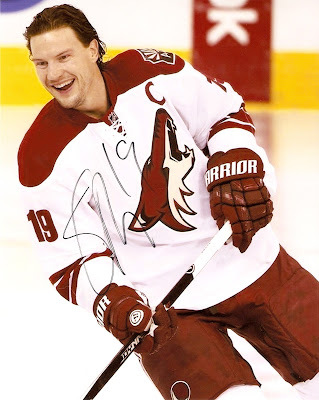 I got the chance to meet him a couple of times after games, as he always stopped to sign autographs for the fans after Coyotes games, win or lose, and always with the biggest smile on his face. 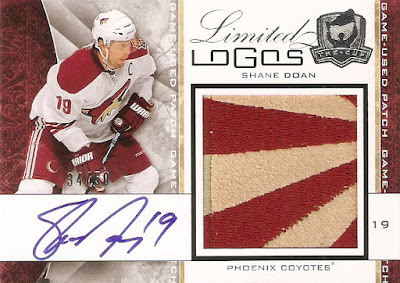 He may still have another year or two left in him, so hopefully another team is willing to give him a shot at his first Stanley Cup. Day 7 - A card you bought in person and the story behind it. 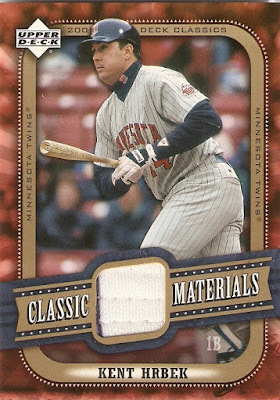 From 2005 Upper Deck Classics, this is a Classic Materials jersey card of Kent Hrbek. I just had to have this card, because at the time, I didn't really have any hits of the former Minnesota Twins slugger. 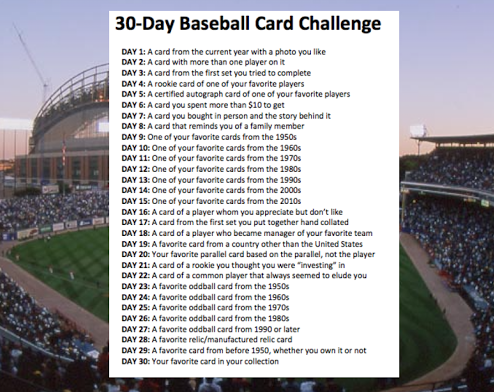 I may be a lifelong Cubs fan, but I grew up in a Minnesota Twins househoold, and in fact, one of my very first baseball memories was them winning the 1987 World Series. Hrbek was a big part of both of those teams, and I have always been a fan of his. 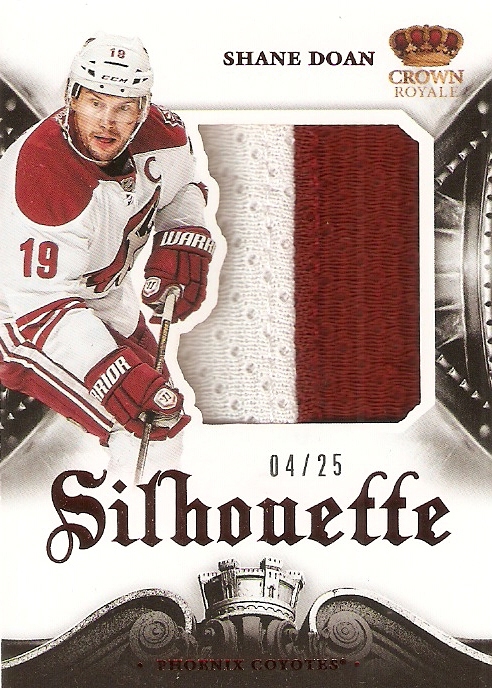 What I really like about this card is that not only does it feature a little bit of the jersey's pinstripe, but there is also some threading from the hem, which gives it that extra something special.